The Bar Council of India (BCI) on 15 January said that the rift between the Chief Justice of India (CJI) and four senior Supreme Court judges has been "laid to rest". BCI Chairman Manan Kumar Mishra said that the matter was resolved after a judges meet in the CJI Dipak Misra's chamber at 10.30 on Monday morning. Addressing media here, Mishra said, "It was an internal issue and has now been resolved. The matter has been laid to rest and all courts rooms in the apex court are functioning normally." He further said that the council didn't want any political party to take advantage of the rift between the judges and CJI. "We did not want any political party to take advantage of the situation. Everyone is discharging their duties and everything has been resolved as the Attorney General has also said," he added. 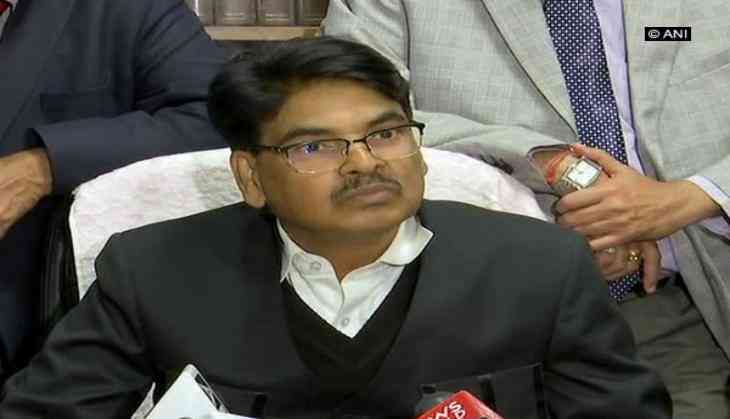 Earlier on Sunday, Mishra had said that the matter would be sorted out soon as assured by CJI Dipak Misra and other judges. "We have met the CJI in a very congenial atmosphere and everything will be sorted out. All the judges present there have assured us that matter will be sorted soon," he said. The apparent crisis in the top court came to the fore when four top court judges, justices Jasti Chelameswar, Ranjan Gogoi, Madan B Lokur and Kurian Joseph, on Friday held a press conference - a first by apex court judges - and alleged that the CJI had been violating the conventions in his role as the master of the roster.